I can’t be frustrated, because, it’s literally the exact idea for my Fates manuscript, but with enough changes to not be my Fates project (if that makes any sense). I’m now desperate to read this book, most of me wondering why Ms. Horn has made the choices she has (mainly, allowing the protagonist to have children). Also, while faith has literally no role in my book whatsoever, I think it will be much more pronounced in this title. While it might seem strange, I’m hoping to dust off my Fates manuscript next year and see if it might be time to finally release it. Yes, I need an editor and cover, etc., however, having not looked at it in 5 years or so, I’m kind of fascinated to see what past Courtney has produced. (Yes, I will be reviewing the above book, just as soon as I can get my hands on it). Dreams do come true: A research trip five years in the making. It’s been a long time since I discussed the Fates, an untitled and unpublished manuscript I wrote and completed some years ago. In the book (and the sequel) much of the action takes place on the remote island of Socotra (I promise it makes sense and was the best fit for the novel). In reality, Yemen is a difficult place to get to. In fact, it might be one of the most difficult in the world (especially with a US passport). While I am positioned well from a geographical perspective (Dubai and Socotra are less than two hours apart by plane), it’s nearly impossible to get to individually. As compared to my current project, The Queen of England, where almost all of the action takes place in Victorian England, there simply isn’t the same amount of research and information available for Socotra. I’ve never felt that my book was lacking because I hadn’t physically visited this island, but I’d always hoped I could make it happen. Fortunately, there is a company here who coordinates trips to this amazing island. While I’ve always had an eye on visiting, trips were far apart or I had to work, or y’know, Yemen is in the middle of a very difficult period in their current history. Transiting through the main city of Sana’a (or any city on the mainland) is dangerous and irresponsible (and I’m pretty sure impossible for a single American woman). Thus, when a trip was announced that managed to overcome all of the challenges (and skip over the mainland altogether), I had literally no excuses and could hardly believe my fortune. So, I booked. And I asked other friends if they wanted to join, and two friends said yes. And I’m still not quite sure if I believe that we’re going. Even as long-time expatriate, I sometimes can’t believe my life. Not only am I going to one of the most remote places on the planet, I’m doing it with friends. And it only just occurred to me that I should e-mail a Yemeni friend and ask for any advice he has. The countdown is on for November 29th! When I learned about the premise for this show, I was understandably interested and a little upset. Forever is about six episodes into its first season, and I must say that I approve and am enjoying it so far. I invited forced Hubs to watch with me, and he is also a fan. Dealing with immortal characters in a modern setting is a curious thing. The protagonist in the show chooses a medical route (to discern why he can’t die), which seems in character and provides a great set up for him working as a medical examiner (in where else? New York City!). 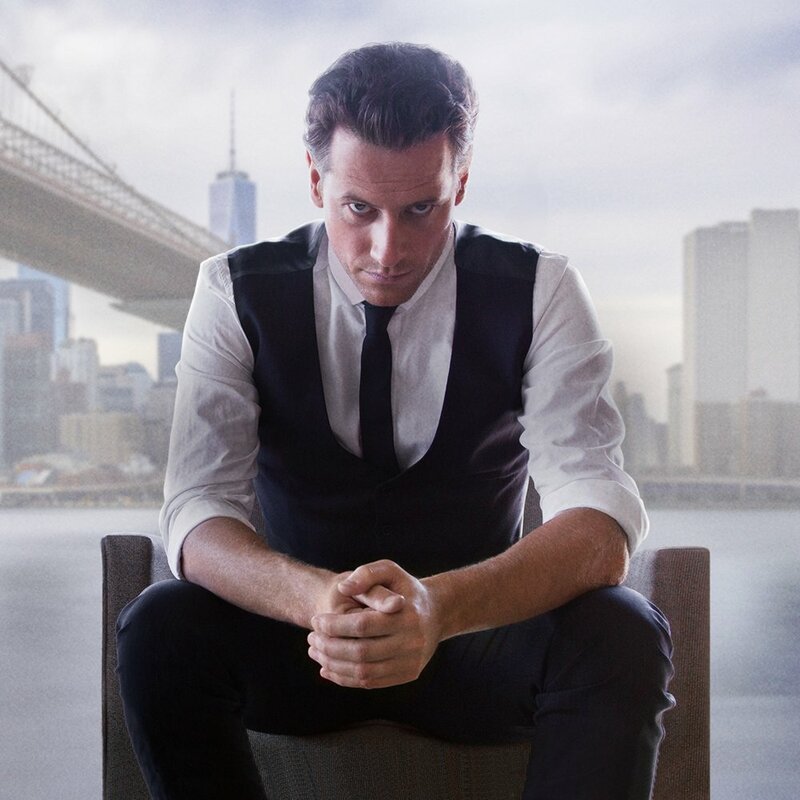 Ioan Gruffudd portrays the lead character, Dr. Henry Morgan, much as I do with Ayah. There’s a sense of humor, a bit of nostalgia, and a healthy dose of pretension. In fact, Dr. Morgan and my Ayah have so much in common that in the opening scene of the pilot I was pointing and shouting at the screen. While my character does have people working, trying to understand why she’s unable to die, Ayah is not fixated on death (or causes there of). The character fixation of the doctor is never one I considered for Ayah. She’s less interested in her many deaths, and more obsessed with who caused her situation. I do hope this show continues, however, the ratings and reviews don’t look particularly promising. This is unfortunate, because I’d really like to see how they unpack his immortality, the causes behind it and the shadowy antagonist (who’s been alive for a lot longer). The show is not as intense as this picture. Also not pictured, Dr. Morgan’s ubiquitous scarf. 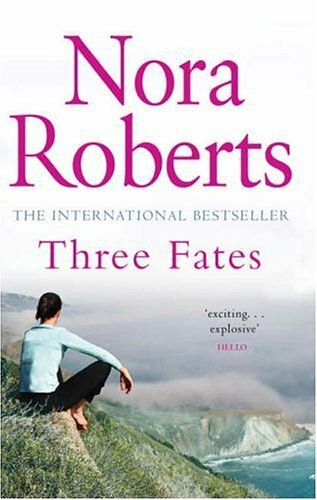 Three Fates – Book Review. 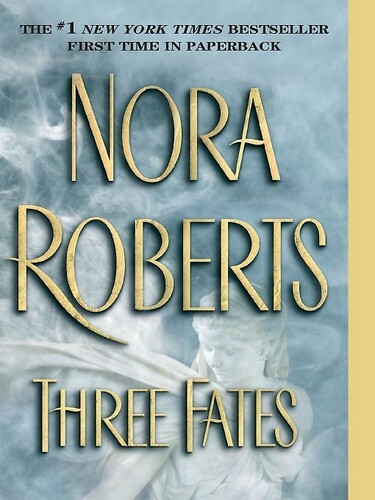 I’m not entirely sure how I found Three Fates by Nora Roberts, but after reading the summary (a combination of romance, the Fates, and historical objects), I pretty much had to purchase the novel. After all, based on the short description, I felt like this book would be a good fit for my own (hypothetical) readers. Furthermore, as Ms. Roberts is a very successful author, I was interested to see how she handled one of my favorite mythological subjects. While some readers might get a bit annoyed with the constant analogies and conversation about fate and destiny, I, of course, enjoyed every second of it. The momentum was fairly decent and I liked most of the characters. Furthermore, Ms. Roberts did an excellent job of handling seven main characters (plus additional supporting cast). As I am always trying to balance and better develop my own group, I was impressed by her ability to easily and clearly define personalities, all while moving the story forward. The ending was predictable, the romance was hot and overall, while not entirely the same as my own Fates project (thank goodness! ), I was glad I paid over my usual price for a e-book. So, who would I recommend the book to? As I am not well read on the rest of Ms. Roberts’ library, I can’t definitively say the rest of her readers would enjoy this novel. Additionally, while the novel has many elements of a thriller, I think the romantic storylines might turn off a potential reader. As I’m sure Nora Roberts has no problem selling books, I don’t think she would have the same concerns I do about attracting as many audience members as possible. As I returned to the Amazon page for the book, I read over the reviews (mostly positive, and plenty of them) and tried to find other books similar to this one, unfortunately, the ‘Readers who bought this…’ category listed only Nora Roberts books and no others. I’m not really sure how this is a cover. It has literally NOTHING to do with the book. I want to be such a successful author that I do not require cover art! Over the years of working on this project, I’ve collected heaps of quotes about the Fates, maybe I’ll share them one day soon!